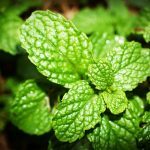 Home » All » Why does menthol make us feel better? Have you ever noticed that sports rubs (like Muscle Ice®) with menthol in them have always been a popular choice for aches and pains? The cooling effect from menthol is uniquely soothing. I like to think of menthol as the polar opposite of capsaicin, the ingredient that makes peppers so hot. Menthol doesn’t actually change skin temperature, but it does produce a cooling sensation by triggering cold-sensitive TRPM8 receptors in the skin in a similar way as capsaicin triggers heat-sensitive receptors. Menthol also has local anesthetic and counterirritant qualities that aid in soothing sore muscles. 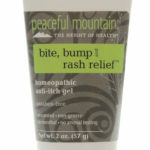 No wonder it has found its way into medicine cabinets for years! Some muscle rubs on the market contain synthetic menthol, however the menthol that you find in Muscle Ice is a natural organic compound found in a plant family related to mint and peppermint plants. While mint and peppermint are found world-wide, menthol is extracted in crystallized form from the oils of the wild mint or corn mint plant native to India, western and central Asia, Siberia and North America. 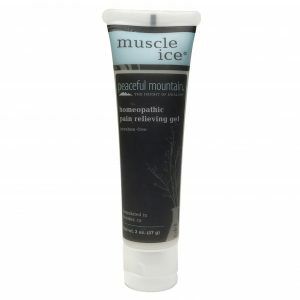 We have created Muscle Ice using the most natural ingredients possible, eliminating all the parabens and other additives as much as we can; after all it is being absorbed into your skin! You can take comfort in knowing that we list all our ingredients on the label so you can make an informed choice. Compare for yourself and see that Muscle Ice is the natural choice for you!